DxO Optics Pro 9 came with a new PRIME noise reduction feature that was much more effective than the program’s regular High noise reduction process, but it was a processor-intensive task that took several minutes to render a finished image. Worse, some users remarked that the processed files looked a little ‘soft’. I wasn’t exactly overwhelmed by it myself in my first PRIME post: Just how good is the new DXO Optics Pro 9 PRIME noise reduction? Obviously, others have been saying the same thing, because DxO has launched Optics Pro 9.1 with, amongst other things, a revamped PRIME processing engine, so I decided I should carry out a DxO PRIME 9.0 vs 9.1 test of my own. Incidentally, PRIME stands for ‘Probabilistic Raw IMage Enhancement’, and DxO says this new version offers better detail and textures at high ISOs. The noise reduction panel (circled, above) is no different in version 9.1. You still get a choice between High and PRIME noise reduction. 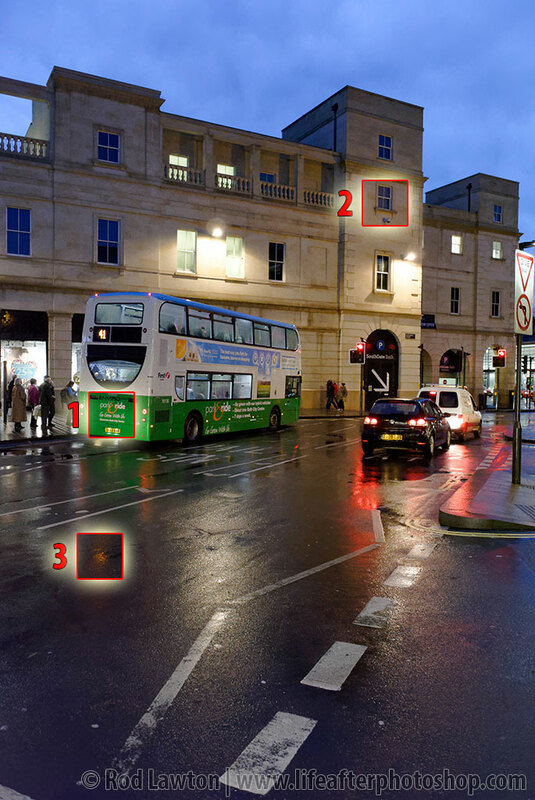 If you choose High, you can see the effects on the image in the main window. If you choose PRIME, you have to go by the small preview window in the Noise reduction panel – the processing takes too long for a full-size preview. I decided I ought to test the new version against the old one and see just how much better they are than DxO’s regular High noise reduction process. And I’m going to use the specially-selected image below, where I’ve also marked out three key areas for special attention. I’ve chosen this image for three reasons. It was shot on a Nikon 1 at ISO 2000, so it’s a relatively small sensor at a high ISO. It’s sharp. This is so often a problem with high ISO images because, as I explained in my previous PRIME post, when you’re using high ISOs, you’re usually shooting at marginal shutter speeds and with the wide open already, so your shots may not be sharp anyway – so that’s why it was important to choose one that was. It has areas of sharp, clearly defined detail, low contrast detail and subtle, textured surfaces – these pose different challenges for noise reduction software. 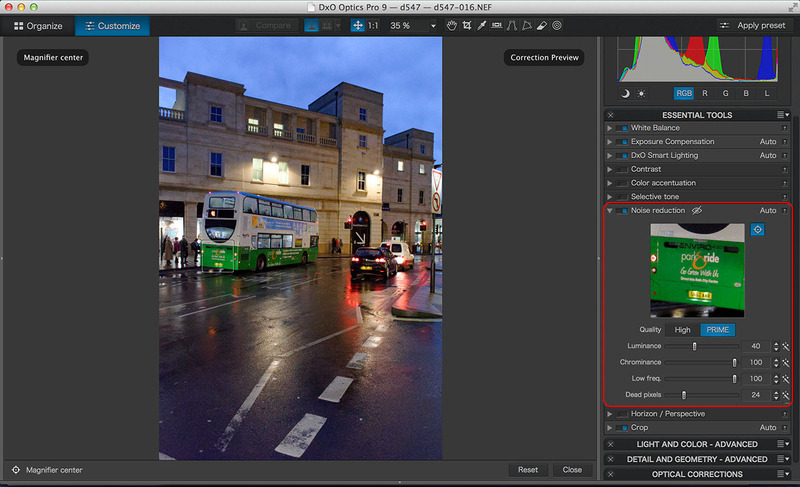 My tests are carried out using the standard (unaltered) noise reduction settings in the standard DxO conversion profile. There are innumerable manual adjustments you could carry out to change the results, but this seemed the easiest way to standardise the comparisons. Glad to know I’m doing some good! I shoot a lot of birds and wildlife at high ISOs, so preserving fur and feather detail is important to me. I find PRIME 9.1 to be a little heavy handed in its Default setting, but if I move the NR sliders to the left some and increase Micro Contrast and end up with a very happy result. Thanks for doing this comparison. It is good to know what is available. I am using DXO elite version and I certainly hope that someday the PRIME will work faster than its present condition. I’m having artefacts on grass with PRIME (DXO 9.5.1). Not so good. Previous Previous post: Who needs Photoshop when you can use Perfect Layers 8 with Aperture and Lightroom? Next Next post: Which film simulation plug-in is best?